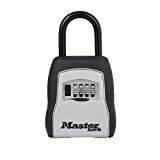 A secure lockbox is a great purchase for anyone looking to secure their keys. The majority of home invaders will be looking for your car keys, especially if you have something flash. The lockbox does not have to large, just something that is secure and can hold a few of your most important keys. Lockboxs are also commonly used by Airbnb hosts, to allow renters to easly gain access to the property. 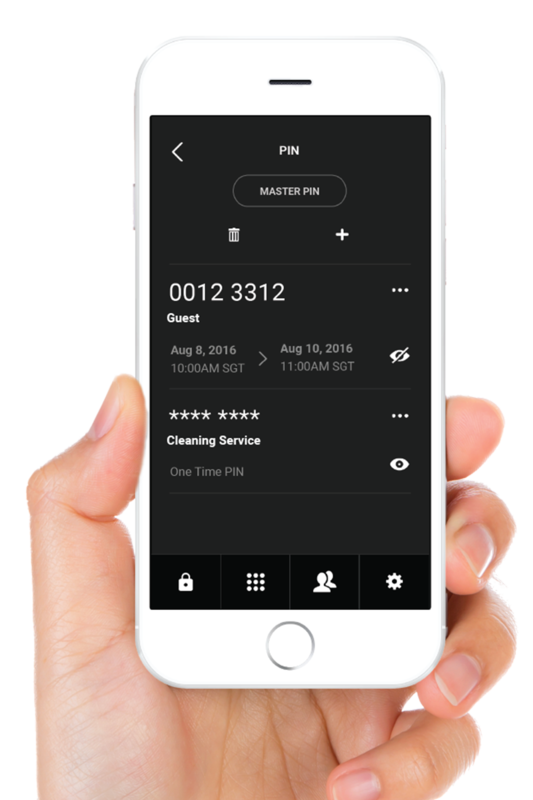 PIN codes are changed for each renter which can be done manually for you have to pay for a smart storage lockbox that works from a phone app. Here’s our choices for some of the most secure lockboxes on the market. The world's first Smart Lockbox, and it works entirely offline! No installation, no hassles! Heavy-duty, sleek, holds absolutely anything - keys, cards, you name it. Endless opportunities! Real estate agents can safely facilitate house viewings without any delays! Send a one-time PIN to your plumber if no-one's home! igloohome have created the worlds first ‘smart lockbox’. This smart key box is controlled by Bluetooth and can generate new PIN codes from its app. The smart lockbox was created for Airbnb hosts to allow a 24/7 reception. All you have to do is generate a new PIN code and send it to the new renter prior to arrival. Airbnb hosts can also sync their Airbnb calenders with the igloohome phone app so new PINs are automatically generated and sent for each booking. Master Lock have been around since 1921 and have even had a visit from Obama to discuss manufacturing – they have become a household name. 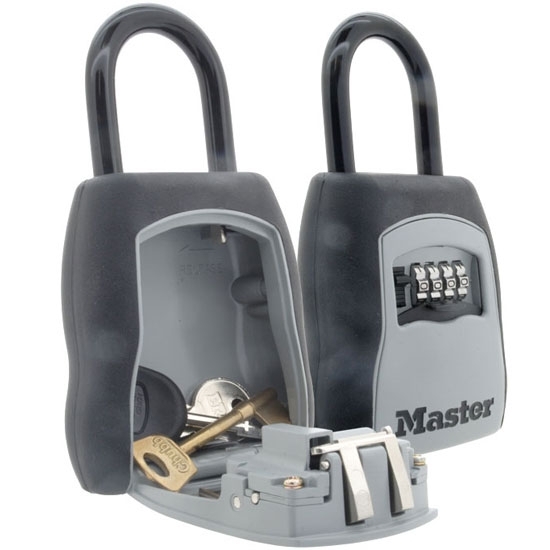 The lockbox has enough storage for a few keys and has combination lock so no keys are needed. The lock is also designed for over the knob design so it can be attached to front door handles, ideal for the property rental market. The lockbox also comes with a limited lifetime warranty. 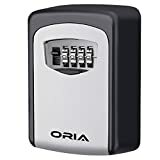 Like the master lock above, the Oria lockbox has combination lock so you no chance of losing the key – we have all done this before. This lockbox can be wall mounted and has the capacity for 5 keys. The box is made of heavy-duty steel and cannot be smashed open by an intruder, they would need to be carrying an industrial blow torch which is highly unlikely. The box can be used for both internal and external use and is fully waterproof. 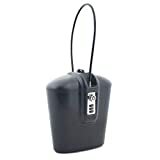 The keyguard pro is a small lockbox made for outdoor use, but also be used for indoor key storage security. The box has a rubber cover to offer weather protection and is constructed of reinforced aluminum. The box is 4″ high and *” wide, large enough to hold a few keys or access cards. The Keyguard pro has over 600+ quality Amazon reviews and is a great low-cost key box. The Safegolockboxx is bigger than the other boxes above and can be used for storing more than just keys. The size is 7″x4″x7.5″ and suitable for mobile phone safe storage. The main use for this lockbox is during outdoor activities like beach swimming, camping and going to the gym. The box has a steel cable attachment which can locked onto bikes and railings. The box is fully waterproof and even has a handy earphone hole. It’s actually made of plastic, but ABS plastic which is the world’s strongest. 95% of all Amazon useres have given this product 4/5 stars. Kidde is the leading manufacturer in fire safety equipment and also do a range of safes and lock boxes. 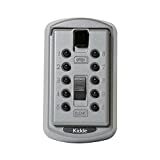 The Access Keysafe is a wall mounted key safe with a combination pin lock. For Airbnb hosts the combination can be changed for each renter, but you would have to do this manually. 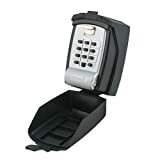 Of all the similar products on Amazon, the Access Keysafe has the most positive reviews. You might also like our guide to the best biometric gun safes available for home.